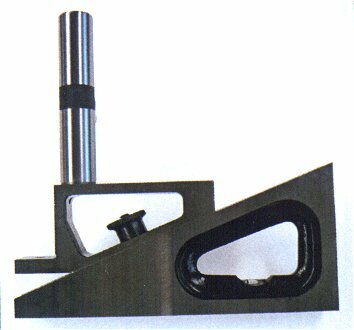 The Pin Height Gauge is commonly used in the initial setup of the seamer to ensure double seaming performance and air removal. All working surfaces are hardened and accurately ground. The base measures 0.75” wide x 5.25” long (19mm x 130mm). Includes a 3” extension providing a range of 9.25” (230mm). Supplied in a wooden case for transport and storage.